We lost our family matriarch sometime in the late hours of Monday, January 14, 2019 to a sudden and massive stroke. Though she wouldn’t take her last breaths until Friday, January 18th, we know in our hearts she was already at peace and home in Heaven long before. Per her wishes she was cremated, and a Celebration of Life will be from 2-4pm on Saturday, January 26, 2019 at Kruger-Coan-Pape Funeral Home, 10 E. Williams Street in Danville. Carol was 74 when she passed. Born on August 7, 1944 in Elgin, Illinois to Arnold and Henrietta (Behrens) Ross, she spent her younger years in Elgin before moving to Danville in 1963. She married Marvin Miller on September 1, 1961 and the two have shared the past fifty-seven years together, through the good and the bad. 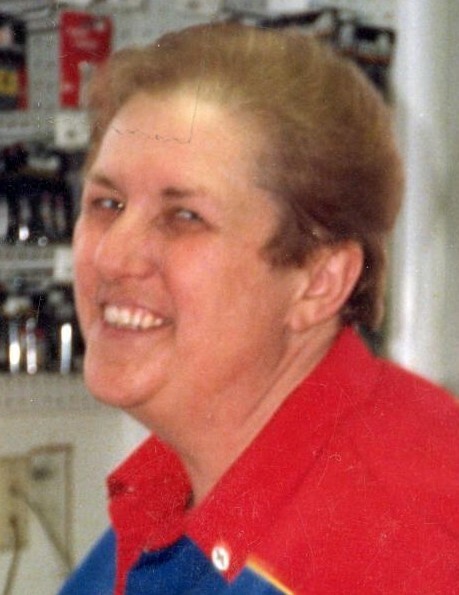 Carol assisted Marvin when he managed Wareco gas station for eighteen years, and later went on to run the fuel desk at Oakwood MidState Truck Plaza. Though an amputee for the past twenty-six years of her life, Carol made the most of what she had and enjoyed playing Pogo on the computer, printing off recipes and jokes, and had recently learned how to work Facebook. She could often be found trying her new recipes (whether they were good for her or not), giving Marvin a hard time, making creations with her plastic canvas, watching her birds outside the window, and helping her son Scott with his bookkeeping. She was proud of her children, but especially of her grandchildren, and adopted many people into her family over the years. Carol leaves behind her husband Marvin; her three children: Kim (Eric) Hagley, Scott Miller (Jodie Reavill), and Jamie (Steve) Bryant; seven grandchildren: Jen (John) Kruger, Jessi Young (Jody Eastin), Bailey Bryant, Dustin (Lindsay) Hagley, Cassidy Bryant, Cody Miller, and Owen Miller; Jodie’s children: Zachery, Chyanne, and Logan; her great-grandson: Boyd Hagley; her sister Cathy Renfro; and numerous brother and sister-in-laws, cousins, and friends. She was preceded in death by her parents, her five brothers: Arnold, Leslie, Albert, Layton, and Gordon Ross, her oldest grandson: Aaron Bryant, and her brother-in-laws: Harold Renfro and Harold Miller.